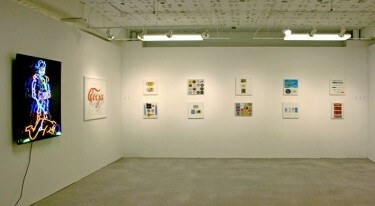 Installation view of Vane’s stand at Next Chicago art fair, April 2008, including 2 new works that didn’t feature in the ‘Worthless little tokens’ show. The works on the left hand wall are by Chicago based artist Josué Pellot. This entry was posted in News on 30/04/2008 by admin.